Huber is a modern multi-purpose review WordPress theme that allows you to create a powerful and interactive review site. 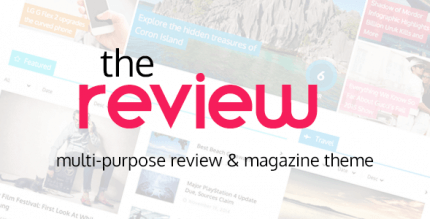 Huber has the edge over other review themes because of its unique and powerful hub system. WooCommerce. Huber is fully compatible with WooCommerce, so you can set up a great looking shop for your site. Vote Up/Down Posts. Huber allows you to vote up or down any post/page and order items by most likes. Multiple Advertisement Areas. Huber is fully compatible with the Advanced Ads plugin so you can insert advertisements anywhere in the theme. Multiple Page Headers. Select from multiple types of page header including standard, fullwidth and full page. You can also add videos in the header as a background or a playable video. Ajax Filtering. Ajax filtering allows you to move from page to page without reloading the page improving page load time. You can also filter posts by category, date, comments, views, title and date range. Search Engine Optimization. Huber is built with the latest SEO practices in mind. Semantic HTML5 for better search result placement, schema markup of all content, correct use of H tags, main content loaded before secondary content – it all covered. Translation Ready. Theme comes with translation files so you can easily translate your site into any language you want. Individual & Global Options. The theme gives you the ability to change the options globally for all posts, pages and categories or you can do this on individually. Create Unlimited Sidebars. 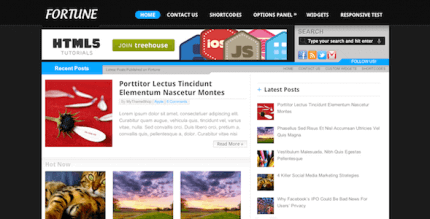 Create unlimited sidebars that you can display on any page you want. Child Theme. Huber comes with a child theme so if you ever want to make any code changes they will not be overwritten when you update the theme. Redux Framework. The theme uses the Redux framework which is a simple, truly extensible options framework for WordPress themes and plugins. This allows you to customize the site live using the WordPress Customizer.